Harry and Larry – Pros Who Help! Harry and Larry – pros who help! 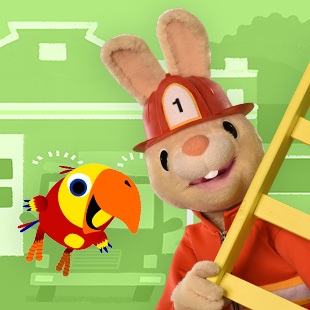 Introduce your child to our new series featuring Harry the Bunny and Larry the parrot, as they laugh, play and learn all about pros who can help us in everyday life. Larry, a mischievous, single worded parrot, tries to present his “problem-of-the-day”, and Harry looks for a solution in his “Dress Up and Wonder Box” where he finds costumes of different professions. Filled with fun, great songs and laughter, Harry & Larry will always make your child happy! See what time Harry and Larry – Pros Who Help is playing!